Videostitch launched on Tuesday the first all-in-one 4K camera, designed for live streaming to online video platforms and virtual reality headsets. The Orah 4i can be acquired for $1,795 for a limited time. It includes “ambisonic 3D sound”, which offers immersive and interactive sounds to VR viewers. 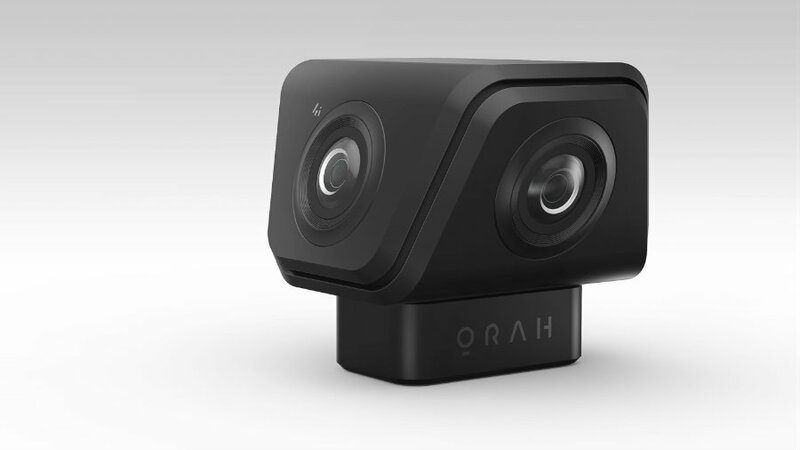 The Orah 4i is also capable of capturing and streaming 360 video in just a few seconds since it works with a “plug and play” system. Moreover, Its body is made of thermally efficient metal, for lengthy video streaming sessions. The fish-eye lenses are completely built in glass, to minimize distortion and flare, said Videostitch in a press release. The image sensor is a 4 x Sony EXMOR, which can perform well in low-light conditions. It also includes built-in stabilization and horizon correction, which converge with a 3D sound system, that allows viewers of VR content to discover the origin of the sound source while using a VR headset. “Until today, a live VR video production workflow relied on an array of small cameras put together on a holder. Videographers then dealt with multiple cables, power supplies and a variety of small hardware components.” Said Nicolas Burtey, CEO and founder of VideoStitch. He added that the video company wanted to remove “inefficiencies” and “points of failure” of the VR development process and make emphasis on the things that matter the most to create attractive content. As a result, Videostich has developed a tiny camera that is capable of recording 360 4k content with just the push of a button. The camera weighs 17 oz and measures 3.1 x 2.7 x 2.5 inches. It generates an equirectangular video output that allows it to broadcast live video to Facebook, Youtube, Vrideo, Bitmovin, Ustream, and others. The new Orah 4i can be pre-ordered now for a limited price of $1,795. Later it will arrive at $3,595, said Videostitch in a statement. Virtual reality is becoming more accessible than ever with headsets like the Oculus Rift, the HTC Vive, the Google Cardboard or the Samsung Gear VR. However, virtual reality will only become a sustainable industry if producers create high-quality content for the masses, said Videostitch. As a result, the company wants to enhance and impulse the market by offering accessible and easy-to-use solutions. Videostitch, a brand headquartered in San Francisco and Paris, has developed a VR video production suite and hardware tools to create content. Shipping dates of the new Oprah 4i will start in July 2016.